Wide Eye Productions is pleased to announce the release of Idaho the Movie 2. 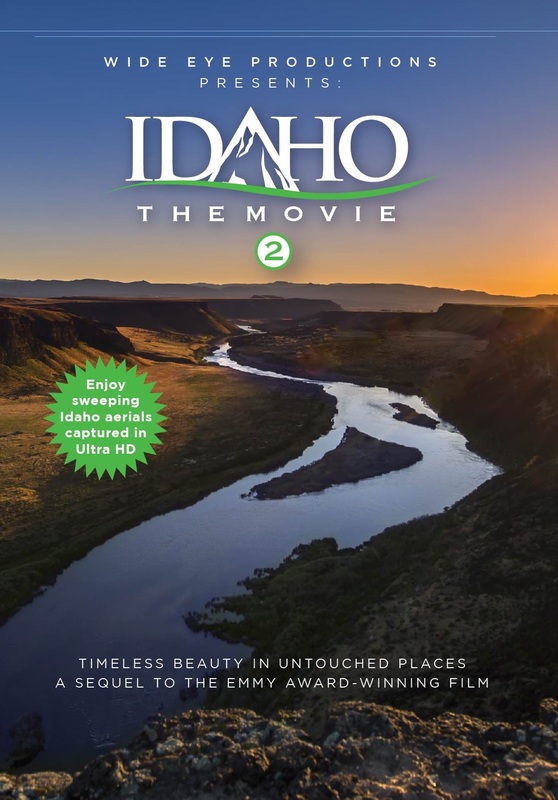 A sequel to the original Emmy award-winning film, Idaho the Movie 2 reveals timeless beauty in untouched places. An artists’ theme carries viewers into wild and wide open landscapes– from pristine wilderness areas to desert canyons lost in time, to sparkling big lakes to hidden geothermal hot springs. Shot entirely in Ultra High Definition and beyond, Idaho the Movie 2 delivers a visual feast to anyone looking for an escape into the wild. For the past year-and-a-half, we’ve been filming all new locations across the state to bring you, Idaho the Movie 2. From the Selkirk Mountains on the Canadian boarder and the many lakes up North, to the Magruder Corridor Wilderness Road which runs through Central Idaho, to the Shoofly Oolite Lakebed in the Owyhee Desert and on over to the Bear Lake National Wildlife Refuge in South East, and just about everywhere in between. Our crews have criss-crossed the state to capture the outdoor features so many of us rarely get to experience. But what makes this production even more breath-taking is the aerial footage filmed from a full size helicopter with a gyro-stabilized camera. Large portions of Idaho the Movie 2 were filmed from the air in a format nearly three times the size of high definition– 5K! The results are gorgeous and showcase the rarely seen, rugged and remote landscapes of Idaho. Northwest-wide broadcasts of the film are scheduled this holiday season (click here for airdates) and DVDs and Blurays are available at all Idaho Costco warehouses, Idaho Albertsons stores, at Idaho Mountain Touring in Boise and Meridian and here at Idahothemovie.com. The perfect gift for the Idaho-lover in your family. BluRays and DVDs on sale now! On sale beginning November 26th, 2016 at all Idaho Costco warehouses. Idaho the Movie 2 - Boise Premiere SOLD OUT! !